Preview images for the third episode of Star Trek: Discovery, titled "Context Is For Kings"
“Context Is For Kings” is the title of tonight’s new episode of Star Trek: Discovery which serves almost like a “second pilot” for the series. In the United States, Star Trek: Discovery is available exclusively on CBS All Access — no broadcast airing this time! Look for it around 8:30 PM. Burnham (Sonequa Martin-Green) finds herself aboard the U.S.S. 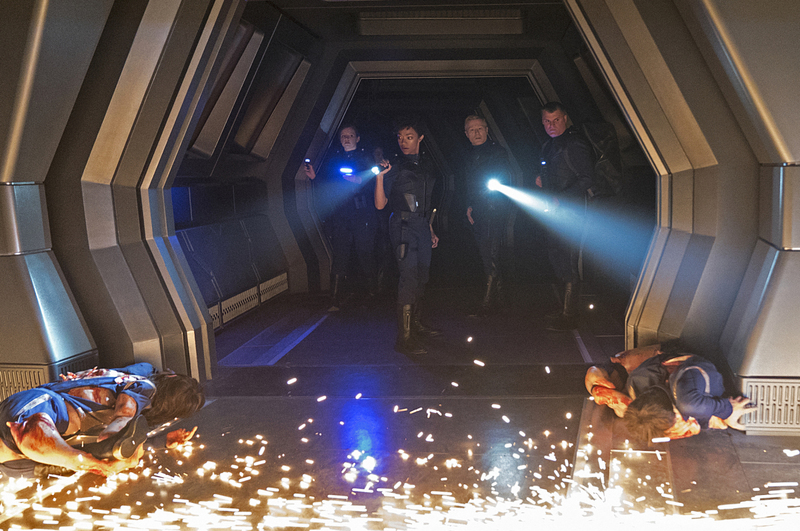 Discovery, where she quickly realizes things are not as they seem, including the mysterious Captain Gabriel Lorca (Jason Isaacs). If you would like to watch Star Trek: Discovery Episode 3 be sure to subscribe to CBS All Access! You can also discuss what you’ve seen on the show on the KSiteTV Forum. Preview images for “Context Is For Kings” can be found below. "Context Is for Kings" -- Episode #103 -- Episodic coverage the CBS All Access series STAR TREK: DISCOVERY. Pictured (l-r): Mary Wiseman as Cadet Sylvia Tilly; Sonequa Martin-Green as First Officer Michael Burnham; Anthony Rapp as Lieutenant Paul Stamets. Photo Cr: Michael Gibson/CBS ÃÂ© 2017 CBS Interactive. All Rights Reserved.